Many children snore. In fact, it is estimated that between 3% and 12% of preschool age children snore. The majority of these children are healthy, without other symptoms, and have primary snoring. But some children that snore, about 2% by some estimates, have obstructive sleep apnea syndrome (OSAS), a condition that is increasingly recognized as leading to school and behavior problems in children. Guidelines from the American Academy of Pediatrics, Diagnosis and Management of Childhood Obstructive Sleep Apnea Syndrome, should help pediatricians more readily recognize, diagnosis and treat children with OSAS. How do you know if your child is just a normal snorer or if he has obstructive sleep apnea? Children who snore and do not have OSAS should be otherwise well, without daytime sleepiness and they should have normal sleep patterns. In contrast, children with OSAS usually have disrupted sleep with short "pauses, snorts, or gasps" in their sleep. Children with OSAS also may have behavioral problems, a short attention span, and problems at school. Is your child's snoring normal? Testing can be done if it is suspected that your child has OSAS, including an overnight sleep study (nocturnal polysomnography). Unfortunately, it may be hard to find a hospital or center that does pediatric sleep studies unless you live in a large metropolitan area. Other testing may include audiotaping or videotaping your child's sleep (although you would likely need a specialist to interpret the tapes), use of overnight pulse oximetry to measure oxygen levels while he sleeps, or just performing a sleep study during a daytime nap. These other tests have been shown to be useful if they do show OSAS, but a child may still have OSAS if these tests are normal. So further testing may need to be done if the testing is normal but it is still suspected that your child has sleep apnea. Once it is determined that your child has obstructive sleep apnea syndrome, it will be time to discuss treatment options, which usually include removing enlarged adenoids and tonsils (adenotonsillectomy). Other treatments might include treating a child's allergies and helping overweight children lose weight. A night-time treatment known as continuous positive airway pressure (CPAP) therapy with a nasal mask is another treatment option for children who can't have surgery or who continue to have obstructive sleep apnea after their adenoids and tonsils are removed. Doctors that specialize in treating children with OSAS include pediatric otolaryngologists (ENT specialist), pulmonologists, and neurologists. If your pediatrician diagnoses your child with obstructive sleep apnea, you will likely need to see one of these doctors. Be sure to find one that has experience taking care of children with this problem. You might also see a specialist if you suspect that your child has OSA and testing is negative or if you are unable to get any testing done. 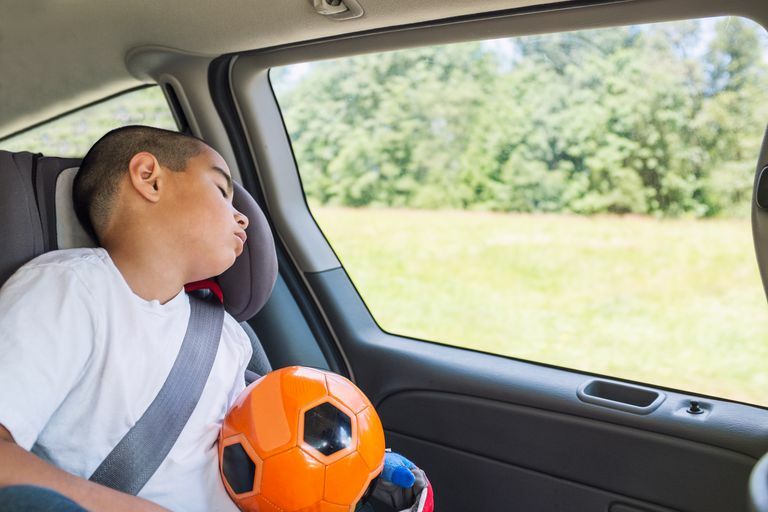 Remember to be especially suspicious that your child may have OSA if he regularly snores and has apnea, daytime sleepiness, and/or school and behavioral problems. American Academy of Pediatrics. Clinical Practice Guideline: Diagnosis and Management of Childhood Obstructive Sleep Apnea Syndrome, Pediatrics. 2002;109:704-712. How Do Immunization Schedules in the U.S. Differ From Other Countries? Is Your Child Allergic to One of These Foods?